It’s the month of December and 2016 will soon end. The perfect time then for Google to take a look back and present the Android apps that made the biggest splash on Google Play this year. Take a look below to uncover the top 5 trending apps globally, the top 5 trending apps in the US, and the app that won the Best App of the Year award. Record a video selfie and use various filters to completely change the way you look. Save and share your creations via your favorite messengers and social networks. MSQRD is available for free for Android and iOS. Back in March, Facebook acquired Masquerade, the company behind the MSQRD app. Facebook used Masquerade’s technology to introduce some spooky Halloween masks for Facebook Live. This app boasts that it features more than 1,000 emojis and that it has all the emojis from iOS 7 and iPhone 6s. If that's something you’re interested in, go get the app from Google Play. Listen to more than 70,000 radio stations, discover and subscribe to some 340,000 podcasts, download podcasts to you device for free. Getting Castbox from Google Play won’t cost you a thing. Getting rid of the ads will cost you a couple of bucks. Lumyer has over 100 high resolution animated video effects to offer. Use them to enhance your photos and to impress your friends. Lumyer is available for Android and iOS. You can do a lot with Face Changer 2: morph heads, add silly glasses, swap faces, fuse the photo with a different background, place stickers, and more. Face Changer 2 is available for Android only. Face Changer is available for Android and iOS. Miitomo – Nintendo’s very first mobile app, described as a social experience that lets you start conversations with friends. Available for Android and iOS. Google Duo – Google’s high-quality, incredibly easy to use, 1-to-1 video calling app. Available for Android and iOS. MSQRD – record video selfie animations, change the way you look and send it to friends via your favorite messengers and social networks. Reddit – funny cat photos, trending news stories, and the best discussions on the internet—these are just a few of the awesome things the official Reddit app does best. Opera News Lab – browse hot topics, trending & breaking news per category and even connect your Twitter account to get an overview of all the news stories shared by your friends’ networks. The 5 trending apps presented above are listed, alongside plenty other apps, on Google Play's Best Apps of 2016 page. Just like last year, the list varies by country. 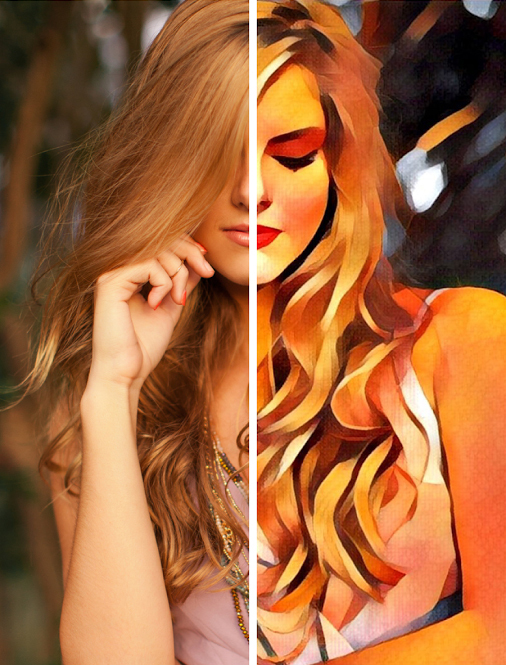 Prisma, the free app that uses artificial intelligence to make your photos look like they were painted by Picasso, Van Gogh, or some other famous artist, has been proclaimed Best App of the Year by Google. Here's a sample of what Prisma can do. Prisma is available for Android and iOS. If you're curious to see which apps made the list last year, go take a look at the most popular apps of 2015.